Hey! Recently I was flicking through a DogsLife magazine and they had a page on popular names in each country and where they originate from. What caught my eye was that 'Asha' is a popular name from Africa and means Life. I love learning about the history behind names, so I thought this would make a fantastic blog post. What doesn't help is that I have some strange names in my bunch, which have zero origin but I would love to tell you all why I named my pets what I did. I will start with explaining that this is best pronounced Beemo. We named him this as it is off a kids TV show that we loved watching and he was our favourite character. I love having unusual and different names so I thought it worked well for him. I don't really know why the original character was named BMO, but he looks like an old school gameboy, and has BMO written down the side of him. Hey everyone! 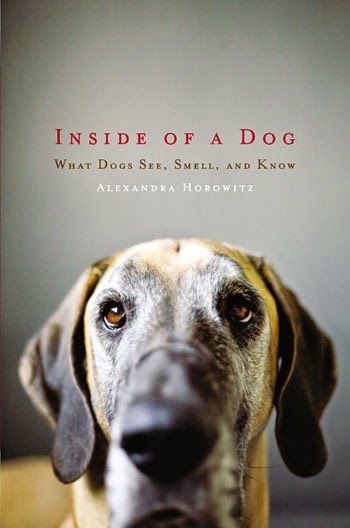 Today I am bringing you the book review of 'Inside of a Dog' by Alexandra Horowitz. Let me just start with saying that this is going to be a long book review, as you probably can see, but the main point I want you all to take out of this, if you don't actually want to read my rambling thoughts, is that this is a must read for all dog owners. It is a Non-Fiction which means it at times is a hard book to get 'into' but please stick it out, because it is worth it in the end. I definitely took a long time to read it, I remember purchasing it back in August when I was in America! I am not going to give much away in this post, because I do need you to read it yourselves, but I will give you a quick rundown of some of the highlights. Hey! We chose the Tug-A-Mal as our favourite toy in our 2014 Wrap Up, but I felt like I needed to give a longer post as to why we love it so much as Diego is still obsessed with it to this day. We originally got our Lion Tug-A-Mal in the October '14 Bow Wow Box and since then it has outlived many other toys in our depleting collection. The idea behind this toy is that it is a toy that your dog can play with alone, or as a tug toy with you. The lion head is a ball with a squeaker, which then is connected through the tugging ends. I found it a great toy when used both ways, Diego enjoyed chewing it, and when we did play together the tugging rings came in handy. Hey! We are already into our second month of 2015 which seems crazy! What this means is that our Summer is disappearing before our eyes, and we need to make the most of it while its still around. 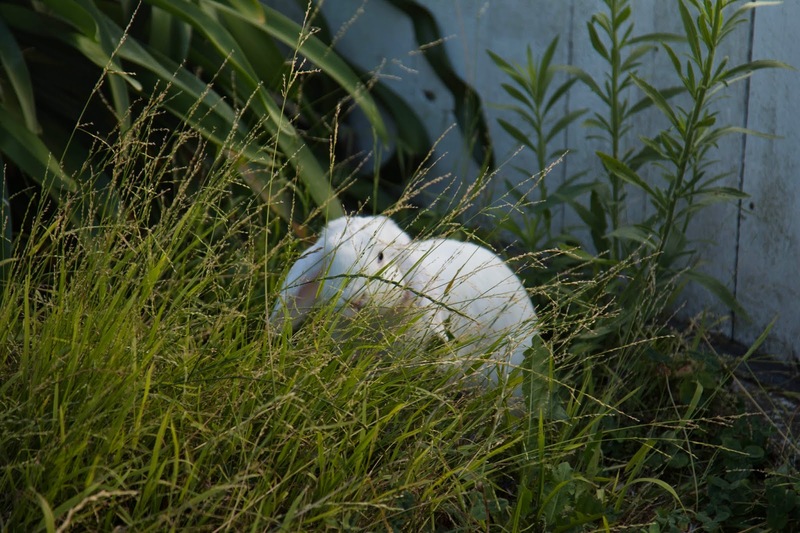 This month I want to really improve my rabbit photography, especially outside of his cage. During the Summer months, instead of letting Schmutz have run of the house, he gets run of the garden (fully fenced, and constant supervision). During this time, I don't really get the camera out, and when I do, they are hurried shots and I don't spend much time on them. What I want to concentrate on is spending atleast five minutes a day while he is out to get some great shots of him, even if I only come away with one amazing shot each day I will be proud of that. Be prepared for a lot of Schmutz shots on our Instagram while I am practicing. The following photos are my first practice shots for the month, what are your thoughts? What are some things that you would improve on them?